Did you know that mold growth can begin in as little as 48 hours after water enters your property? During flood cleanup, many homeowners and business owners do not think about the indoor air quality in the affected space. A qualified restoration company like Restore, however, does. We understand how important it is to not only remove the contaminated and wet materials but to also reduce the humidity and moisture in the flooded space to prevent the growth of mold. Mold spores thrive on moisture and can develop into colonies when exposed to water rather rapidly. Exposure to mold can negatively impact your health as well as the materials in your home. Infections, allergic reactions, eye and skin irritation, and asthma attacks can occur. People with weakened immune systems are particularly susceptible. Therefore, it is extremely important to have a certified restoration technician perform water mitigation services if flooding occurs. Restore’s water damage technicians are available 24/7 to assist with any mitigation needs. 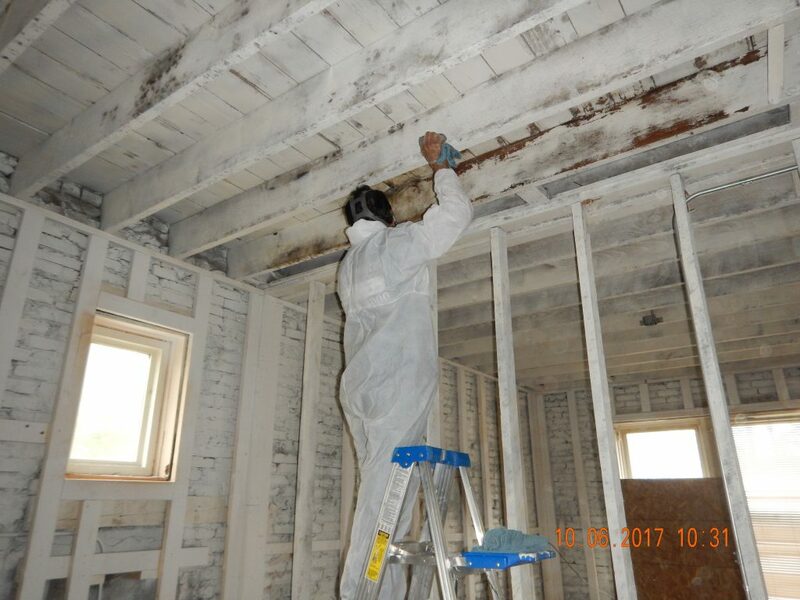 If you do not use a restoration company at the onset, you may later require mold remediation services to bring the mold levels back to their natural levels. Restore’s technicians are also trained and have the specialized equipment and gear to perform mold remediation services.